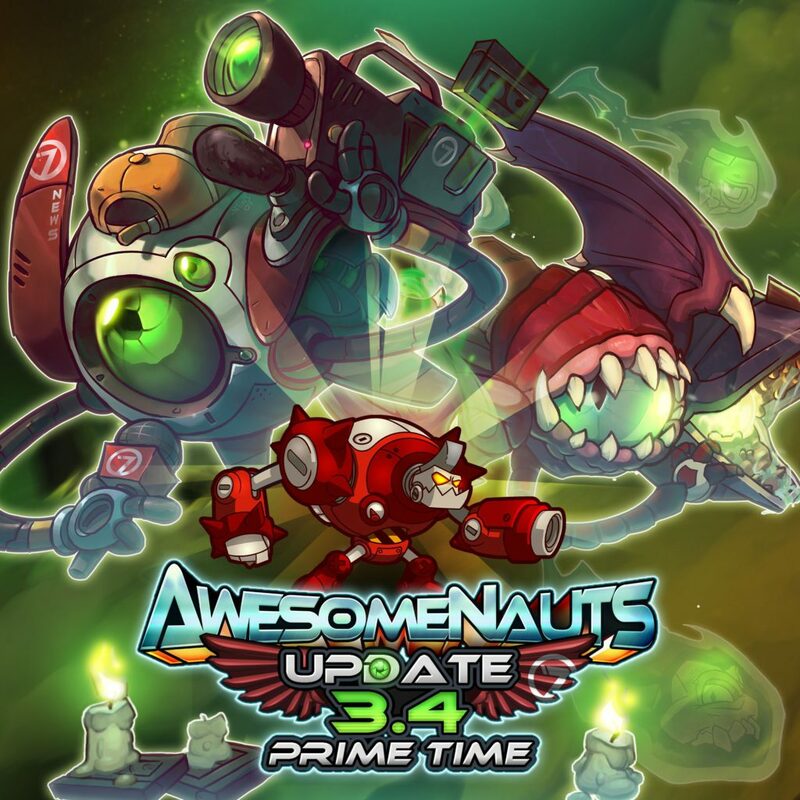 We just released Awesomenauts 3.4: Prime Time on Steam! 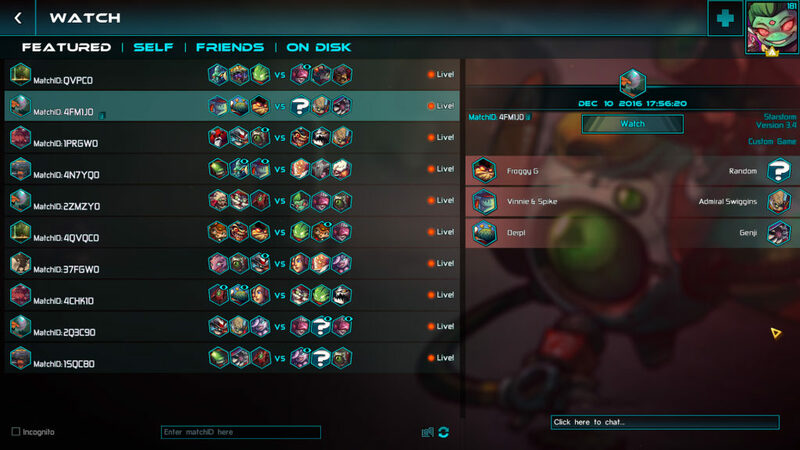 This update is another big step forward for Awesomenauts and follows on the heels of the massive Rise of Galactron update that we released last month. Update 3.4 brings the long-awaited Spectator Mode, a new Overdrive ‘Naut, a visual rework for Clunk, and extensive balance changes! For the full patch notes, head over to our forums! Max Focus has been covering the war between the Ones and the Zeroes for a long time, and developed a real taste for destruction. After reporting on so much glorious destruction and many explosion, Max decided it was time to start making the news himself and joined the Awesomenauts. Max Focus is the latest Awesomenaut to join the Overdrive line-up! This nimble flier is able to deal an impressive amount of damage to opponents straight ahead of him with his Scene Illumination skill and can launch a time-slowing orb with Slow-Mo Shot! 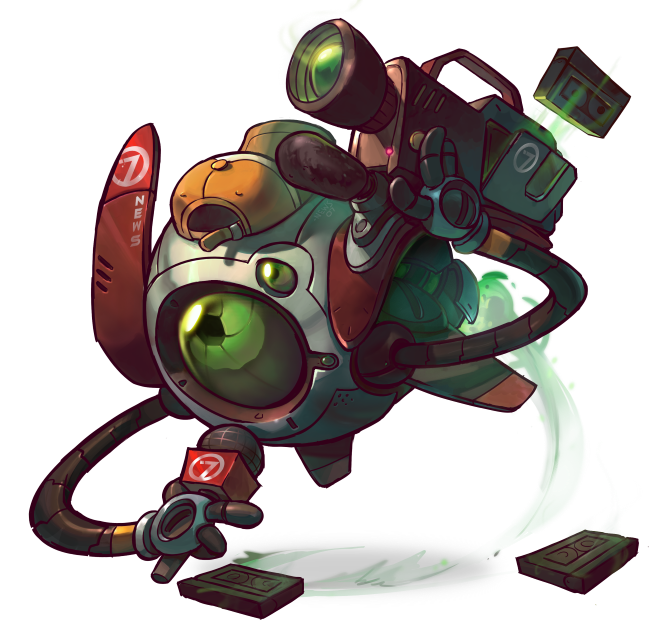 Max Focus is now available in Awesomenauts on Steam as part of the Overdrive expansion, which is currently 35% off on Steam. If you already own the Overdrive expansion, Max Focus will already be unlocked when you launch the game. If you don’t already have the Overdrive expansion, click here to visit the store page! Alongside Max Focus, we’re also releasing a horrific costume! Malicious Max is now available! This skin comes with a fully customized voice set! Interested? Click here to visit the store page! A live spectator mode is now available! Watch your friends play live, catch replays from their best matches, and watch the featured matches throughout the day! The new spectator mode gives you a completely new way to enjoy Awesomenauts by giving you access to a whole range of content to enjoy. Want to watch some of best players throw down while you’re waiting for your next round of matchmaking? Now you can! To spectate live matches, click ‘Watch’ in the main menu! You can’t kill the metal, but you can make it lot shinier! And we did just that! Clunk has received a visual overhaul, and has been completely reworked from the ground up with new art, new animations, and new effects. Our friends at Sonic Picnic have even updated his character theme to be EVEN MORE metal. Here’s his new character theme! Can’t get enough? Need more metal? Here’s his reworked killing spree! As a final note, if you backed our Awesomenauts: Starstorm Crowdfunding campaign, you will receive a message in the next few days with a link to where you can download the Art Book! You should receive this message before the weekend starts, so don’t fret if you haven’t received it yet!